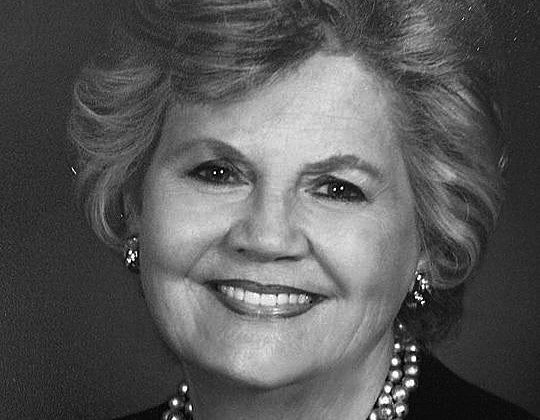 Nancy Hinkle Becker Cathcart, 80, passed away on Thursday, March 28 in Savannah, Georgia.  A memorial service will be held at St. Elizabeth’s Episcopal Church in Richmond Hill, Georgia on Tuesday, April 23, 2019 at 3 pm; with interment on June 10, 2019 in the Columbarium at St. Martin’s Episcopal Church in Houston, Texas. Memorial arrangement are under the direction of Richmond Hill Funeral Home. Nancy was born in Kenedy on January 18, 1939, to Cora Belle Martin and Bernerd Boone Hinkle. The family moved to Lockhart, where Nancy began elementary school and made lifelong friends. She finished her high school education in Houston, where she was a class favorite, all-state clarinet player, and majorette, but she remained a loyal Lockhart Lion throughout her life. Nancy succeeded in every chapter of her life. She was a career woman beginning as a secretary, but made a major change in the mid-1970s, following the footsteps of her aunt, Robbie Finnie, to become a Realtor. 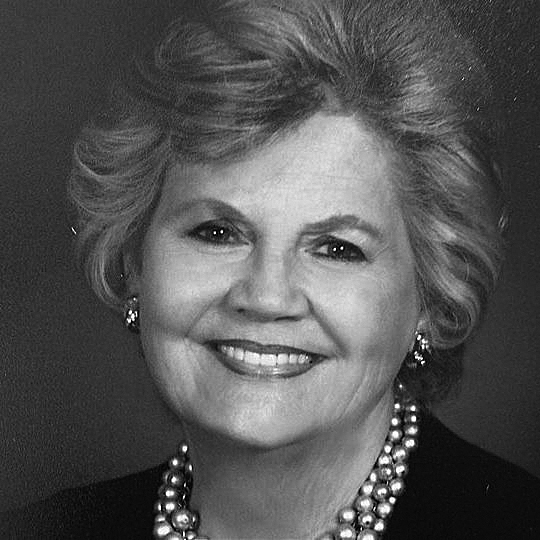 Nancy owned and operated several real estate offices in Central Texas. She eventually moved to Houston, establishing a successful career in luxury home sales in the 80s and 90s. She loved the thrill of finding the perfect home for a client. Her success was evident as she had countless return clients throughout her career, and many families lived happily ever after in the homes she helped them purchase. In Houston, she became a member of St. Martin’s Episcopal Church, where she was active in the Episcopal Church Women, Saintly Stitchers, and the Altar Guild; and where her friend, the Right Reverend Claude Payne introduced her to her great love, Foster Cathcart. Their’s was a match made in heaven – or at least, in the Episcopal Church. Nancy and Foster married in 1991, and she retired from her full time real estate career, but continued to love building, buying, decorating, and selling houses, which she did for the rest of her life. Nancy and Foster moved to his beloved Clemson, South Carolina where they enjoyed several years of Clemson Tiger sports, culture, and alumni activities. She was a membership in The Order of the Daughters of the King, an international order for women of the Episcopal Church and churches in communion with it. She wore her DOK cross faithfully as a daily reminder of her Rule of Life, of prayer and service. Her excitement for real estate never faltered. Her final closing was to sell her own home in Richmond Hill, on March 7 of this year, as she prepared to move into a senior community. Nancy was always beautiful, growing prettier as she aged. She often said that her 60s and 70s were her best years. She was an amazing cook, organizer and party planner, and loved nothing more than planning perfectly themed parties for family and friends. She loved Christmas, Mexican food and mariachi music, crawfish boils and bunco games. Nancy was never happier than when she was completely in control of everything in her life, and the lives of those around her. The fact that she had sold her home, packed her most precious belongings into safe storage, and even coordinated an estate sale in the month before she died, is evidence of that. The world is already a little more chaotic without her around to organize us. Nancy was preceded in death by her husband in 2009. She is survived by her cherished dog, Tigger; her daughter, Diana Finlay Hendricks, of San Marcos; son and daughter-in-law, Ron and Karen Becker, of Richmond Hill, Georgia; son and daughter-in-law, Guy and Deanna Becker, of Owassa, Oklahoma; grandchildren: Jenni Finlay, Sterling Finlay, HalleyAnna Finlay Welch and her husband, Dustin Welch; Krissy Becker, Cody Becker and Brandon Becker; Shelby Becker; and great-granddaughter, Annie Finlay. To view and sign the guestbook, visit www.post-register.com/obituaries/Nancy-Hinkle-Becker-Cathcart.